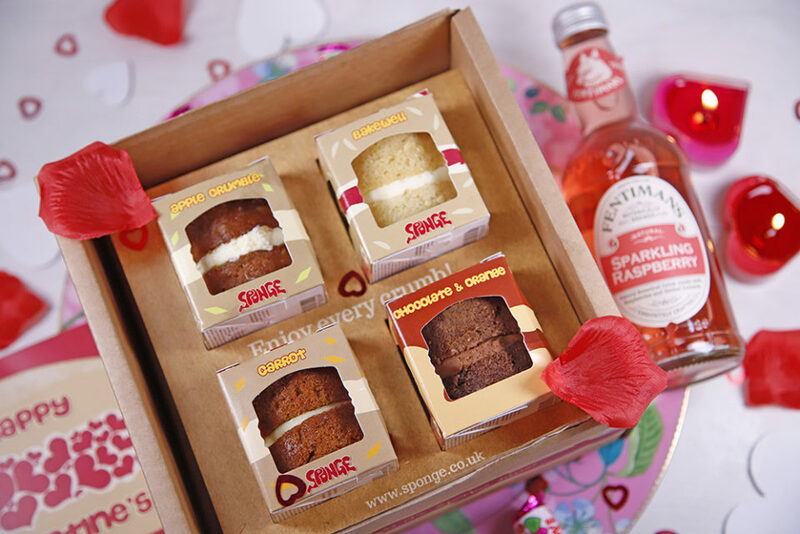 Send some Sponge love to someone special this Valentines with one of our tasty and fun gift boxes. A lovingly handmade strawberry and vanilla flavoured marbled sponge with strawberry flavoured butter icing with little sugar hearts sprinkled on top. It's a perfect sponge to send to the one you love this Valentine's....who will you send yours to? We also have a gluten free version of our Valentine's Special Strawberry Swirl Sponge Cake! 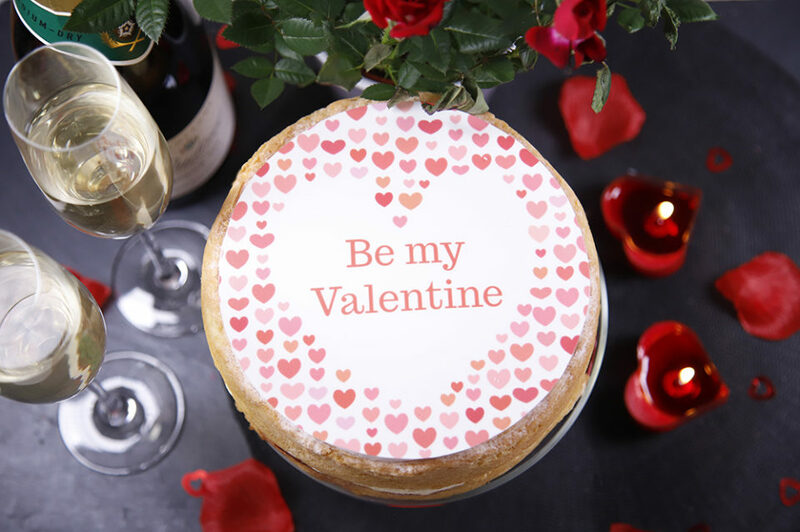 Send a slice or two of cake in a personalised card to the one you love this Valentine’s Day. A LOVEly gift delivered through their letterbox! Who will you send yours to? 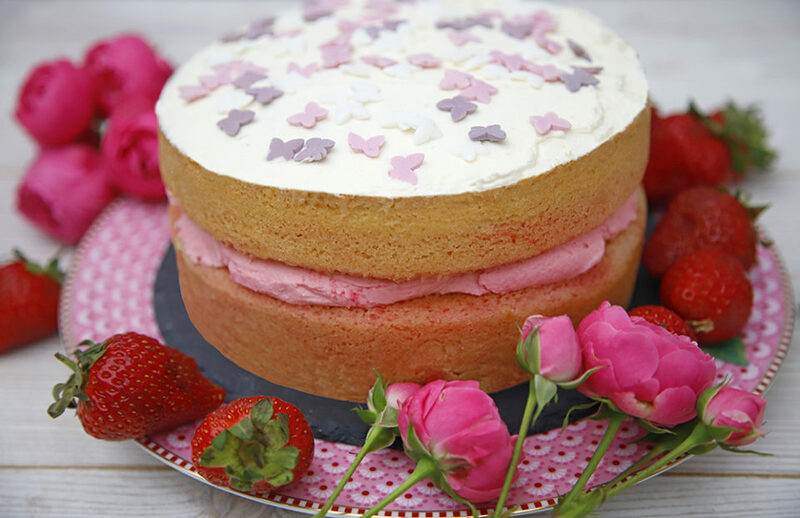 Add a slice or two of their favourite cake - why not try our NEW Strawberry Blush! Select a date for your Cake Card to be delivered through the letterbox of someone special. 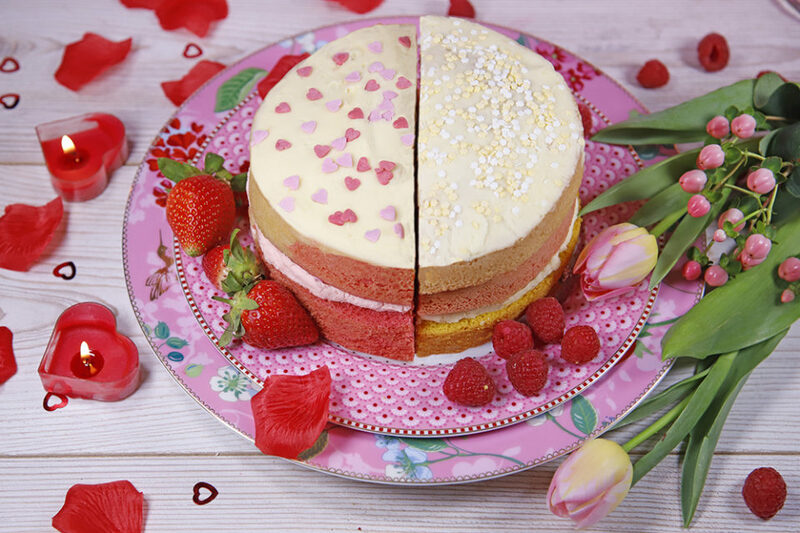 Indulge in our latest limited edition Valentine's Half and Half Sponge and try our two new LOVEly flavours! Half Valentine's Strawberry Swirl - a vanilla and strawberry flavoured sponge cake, and Half Angel Sponge - a 3 layered vanilla & raspberry flavoured sponge cake. This is exclusively available for a limited time to our Sponge Club members only!